My Lovely Birthday Book Haul! It was my birthday last weekend so today I’m sharing my birthday book haul! I was very spoilt for my birthday with lots of lovely gifts including some fabulous new books! My husband collects records in the same way I collect books so we understand each other and he never minds giving me books as gifts. I feel incredibly lucky! The gorgeous hardback of Three Things about Elsie by Joanna Cannon! I did put this on my wish list as I read a proof copy and loved it so much that I knew I had to have a finished hardback as well. I’ve already read this book – I started it as soon as I finished opening my presents and I loved it so much. It’s such a good book, especially if you love the space shuttle and want to know more about how astronauts train. I love Jenny Colgan’s books so I was super happy to open this gift. I’m excited to escape into this book soon. I’ve had my eye on this book for a while but hadn’t actually seen it in real life until I opened my gift – it’s such a gorgeous naked hardback. I’m really looking forward to reading this short story collection! I love Great British Bake Off and had seen Prue Leith interviewed on TV a couple of times while that was on and it seems like she has had a fascinating life. This book was such a surprise but I’m really keen to read it (it’s a doorstop of a book though so it might take me a little while!). This book is so gorgeous and it’s one I’m really intrigued to read soon. I’ve spent a lot of time over the last 18 months or so working on health stuff and that includes regular mindfulness and mediation so this book seems like it will be a perfect read for me. I’ve been enjoying re-reading some Agatha Christie books in recent years but I somehow never read the Tommy and Tuppence series so I’m looking forward to reading this set of books. This poetry collection sounds like it will be an emotional read but it’s a book I definitely want to read when I’m in the right frame of mind for it. I was excited to get a copy of it for my birthday. I’ve been so keen to get hold of this book and almost bought it on ebook recently so I’m glad I didn’t because the hardback is stunning. I love Jon McGregor’s writing so this book will be a real treat to read. This hardback is another book that is so lovely and my photo doesn’t do it justice. It’s a beautiful book with glossy photos and I’ve enjoyed looking through it. I’m excited to read it soon. So that’s my most recent book haul! Have you got any new books this week? 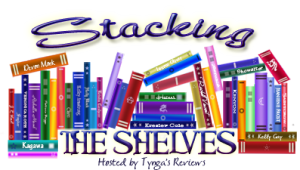 If you join in with Stacking the Shelves or if you’ve done a book haul on your blog this week please feel free to leave your link below. WWW Wednesday (29 Nov)! What are you reading this week? I’m really enjoying dipping in and out of this book – it’s a lovely collections of quotations and one that I’ll be keeping hold of after I’ve read it. I’m on the blog tour for this book later this week so look out for my review soon. I haven’t done much reading this week as I’ve been really unwell for most of the last week. I did feel well enough to pick this back up last night and I’m still enjoying it just as much as I was so I’m sure I’ll finish this soon. As I said above I haven’t read much over the last week but I did get a huge chunk of this book read yesterday and am back to being engrossed in it. The chapter I’m on now is all about how the kindle came to be so I’m finding that really interesting. I finished this book yesterday afternoon and I’m missing reading it already. It was a wonderful book and one that I’ll be keeping hold of. The hardback edition I read is gorgeous and has loads of fabulous photos throughout so I recommend getting a hold of this version if you are interested in reading more about Coco Chanel. I read the first book in this series in September so have been looking forward to getting to this one ever since. I didn’t love it as much as the first book but it still had me hooked from start to finish. I have the third book on my TBR and it’s set at Christmas so I can’t wait to read that in the next couple of weeks. I’ve seen this book around and was interested to read it so when I spotted it on my audio book subscription I decided to listen to it. It’s a short book that packs a punch, it’s one that I’ve been thinking about since I finished it last week. I’m going to finish up NonFictionNovember and then I’ll start on my Christmas books! I love the cover on this one and it’s been on my TBR for a couple of years so I’d like to try and read this one soon. I was sent this a gift last Christmas and didn’t manage to read it then so I made sure to seek it out on my bookcase when I was thinking about what I wanted to read this Christmas. I’ve also had this on my TBR for a while and when I spotted it recently I thought it was a sign I should get it out to read in December! I loved watching A Touch of Frost when it was on TV years ago so I’m really interested to try reading my first Frost novel. This week I decided to take part in non-fiction November so I spent a while sorting through my print and kindle books to make a TBR for that. I read a fair bit of non-fiction anyway but I’m enjoying challenging myself to spend a whole month devoted to it. I haven’t felt too well this week but have been able to escape into books so I’ve been very glad of that. I started this book about three weeks ago but I had to put it down because it felt a bit too overwhelming for me to read in one go. I picked it back up yesterday and found I then couldn’t put it down, I had to get to the end to see what happened. I think this book will stay with me for a long time to come and may well make it onto my favourite non-fiction books. This was one of my picks for non-fiction November and it was a great start to the challenge. I flew through this book – it was interesting to see which women Jenni Murray picked to write about and also to find out why. I’d recommend this one. In typical bookaholic fashion I recently treated myself to a Jenny Colgan Christmas book, which I’m looking forward to reading next month, and it was only when I got home that I realised it was the third book in a trilogy. I also only then realised that I owned the first two books on my kindle so I’m going to try and get them read before December so that I can read the Christmas book. I loved the first book, it was such a gorgeous read and I adored it! This has been on my review pile for way longer than it should have, and after reading it I regret leaving it so long because it was a really good read. I think I read it in two sittings and it just had me hooked from the start. Hopefully I’ll get my review for this written and posted soon. This book was such an emotional read. It’s one of those books that slowly gets under your skin until you just can’t put it down. I’ll be reviewing it on my blog as soon as I get my thoughts together about it but it is a book I definitely recommend. This is a book I’ve owned for a while as I’m intrigued to know more about Amazon and how it came to be what it is now. I’ve only read the first couple of chapters so far but it’s interesting. I’ve had this book on my TBR mountain for ages but whilst it is something I want to read, there is part of me that felt it could be an upsetting read. I’m so glad I picked it up in the last couple of days though as it’s utterly fascinating! It’s much more accessible that I was expecting it to be and it’s a book that once I got into, I haven’t wanted to put it down. I’m still enjoying dipping into this book and am loving all the stories – there are many things I didn’t know about John Peel and his earlier radio shows to it’s a really fun and interesting read. WWW Wednesdays (1 Nov)! What are you reading this week? I’m back reading this book this week and am finding it very hard to put down. I’m intrigued to know how the case is going to turn out and how it will affect the author of this book. I’m still loving dipping in and out of this book, it really is so wonderful to be learning more about John Peel’s earlier radio shows. I was an avid listener from the late 80s/early 90s onwards but missed out on the shows before that. I can’t recommend this book highly enough. I recently treated myself to Christmas at the Little Beach Street Bakery and it was only later that I realised it was the third book in this series, of which I already owned the first two so I decided to pick this one up. I love Jenny Colgan’s writing, it always makes me feel happy and this book is wonderful. I’ve had an ARC of this on my TBR for way longer than I should have and now I’m kicking myself for not picking this up sooner because I flew through it. I will try and get a review of this written very soon. This book had me in tears by the end. It’s one of those books where you suspect how it’s going to end as you’re reading but you hope you’re wrong. I loved this book and will be reviewing it as soon as I get my thoughts together. I found this book really helpful and am glad I got the chance to read it. Not all of it was relevant to me but it was good to read about new treatments. I will review this soon too. This book is gorgeous to look at, it’s really pretty and entices you to pick it up. I didn’t find anything new in the tips for showing kindness but it’s always nice to be reminded to be more compassionate. I loved this book! It’s the first in a trilogy and I’m already eagerly anticipating the next book! I’ve already reviewed this so you can read my thoughts on it here if you’d like to. This book has been on my TBR for ages and I finally picked it up a few days ago. It’s not my favourite Cecelia Ahern novel but I enjoyed it, it was a nice feel-good read. I’ve decided to take part in #NonFictionNovember at the last minute so am in the middle of sorting out a TBR for that. It means I’ll be reading more non-fiction than fiction this month but I haven’t absolutely decided on which books as yet. I will be doing a separate TBR for this readathon in the next day or two so please look out for that. This week has been a better week than last. I had a bad weekend last weekend coping with medication changes but once my body adjusted the last few days have been okay. I’ve been reading this book for the last month and have found it really interesting for the most part. A couple of chapters held less interest for me than others but generally this was a very good book about football and the politics surrounding it. I’d recommend it to all football fans. This is a graphic memoir, which is fascinating and heartbreaking. I got this for review so will try and have a full review up soon. It’s one I recommend though. This book grabbed hold of me and didn’t let go – I literally read it in one sitting and was engrossed the whole way through. I’ll be reviewing this one soon. This book has been on my currently reading for a few weeks as I was struggling to hold the hardback copy to read it. I had a fairly good afternoon one day this week so I picked it up and I was captivated by the novel. I completely and utterly fell in love with this story and know it will be one that stays with me for a very long time. This is another book at I devoured. I read it in two sittings and loved it. I’m on the blog tour for this book next week (16 March) so will be sharing my review then. I bought this book when it first came out and I couldn’t get into it so put it to one side. I’d heard good things about it though so I didn’t get rid of my copy. It’s recently been adapted for TV in the UK and the adverts for it re-ignited my interest in the book. I picked this up late one morning this week and I literally lost half a day to the book – I did nothing from when I picked it up to when I finished it. It just hooked me from the start. I’m so pleased that I gave this book another chance. I can only assume that when I picked it up the first time that it was just the wrong time for me because this was absolutely a 5 star read! This was my audio book for the last couple of weeks and I adored it. It’s such a gorgeous story about a mobile book shop and is perfect when you need a bit of escapism. This is the second book in the Banktoun trilogy and I read this in one sitting. It grabbed me with the opening and I simply had to know what had happened. I have the third book, The Damselfly, on my TBR and I don’t think it’ll be too long before I read that one. I haven’t hauled this book yet as I got it yesterday after my Stacking the Shelves was posted. I’m loving it though – I’m not quite 40 yet but this is my generation and all the music and cultural references are bringing back so many memories. I don’t think I’ll be long in finishing this book. I started this late last night and found it really captured my attention straight away. It seems like it’ll be a slow-burn but it’s intriguing from the off so I’m keen to get back to it. I’ve had this on my TBR pile since the end of last year and I’m so glad to finally be getting around to it. I’m only about a quarter of the way through it so far but it’s got me hooked and I really want to know how it’s all going to turn out. I picked this up after we watched the Ziggy Stardust and the Spiders from Mars concert as I was in the mood to read something about David Bowie. This is a lovely book, with some really nice photos of him, all written by people who knew him. I’m really enjoying reading this. I got approved for this on NetGalley and decided to pick it up straight away. It’s not exactly what I thought it was going to be, and I’m struggling to really get into it a little but I’ve seen good reviews so I’m going to keep going and hope it improves soon. I haven’t picked this up for a few days and I’m not sure why. I enjoyed what I read initially but it’s just not calling me back to it. I will read more of it soon though as I do like a book about clutter. This is still a fascinating book – I’ve struggled a bit with heavier non-fiction this week so I’ve not read as much of this as I’d have liked to but I’ll definitely be getting back to this soon. This is the audio book that I’m listening to with my husband and we’ve not had much chance to listen this week but we’re both really enjoying it so will be getting back to it as soon as we have the time. I started this book yesterday afternoon and am completely hooked. I can’t wait to get back to it and read more – it’s such an intriguing storyline. This is a graphic memoir of a woman dealing with her family’s history and it’s incredibly moving. This is another book about clutter that I spotted on NetGalley a while ago and couldn’t resist requesting. It’s a good read but it’s about a clutter problem that’s on a whole other scale to what I was expecting. I’m intrigued to know whether Eve managed to deal with her clutter over the course of a year so I’ll definitely keep reading. This book is such an interesting read but I have to keep stopping as the subject matter is very intense and it leaves me needing breathing space occasionally. I’m ok with working my way through it slowly though. This is the audio book that I’m listening to with my husband. It was his choice of book, and I’m not really a Phil Collins fan, but I’m actually really enjoying it. This is still such an interesting read but one of two of the chapters have laboured the point and I end up needing a break before moving on to the next chapter. I think it’s not helped that I don’t have children so the chapter about football for kids and how it’s changing was not all that interesting to me at the level it was pitched at. I understand the bigger picture but the smaller details didn’t engage me enough. On to the next chapter soon though. I have heard a lot about this book lately since the recent BBC adaptation so I was intrigued to pick it up again. I have tried to read this once before and gave up on it but I picked it up yesterday and felt like I was reading a different novel. I literally didn’t put the book down all day and read it in one sitting. It’s an incredible novel, so intense. I’m pleased the TV series is still on iplayer until the end of Wednesday as I somehow managed to record the series but missed the first episode. I’m looking forward to seeing how it translates onto the small screen. This was my latest audio book and I loved it. It’s a gorgeous novel about a mobile bookshop, set in beautiful Scotland. I think I’ll be looking out for more of Jenny Colgan’s novels on audio. This is the second novel in the Banktoun trilogy and I devoured it in one sitting. I think it was even better than the first one, which I also recently enjoyed, and now I can’t wait to read the third novel! I read this novel at the weekend and found it impossible to put down – I even missed the start of my team playing because I simply had to know how it was all going to end! I’ve already reviewed this book so you can read my thoughts on it here if you’d like to. This was an alright listen – it was good for passing the time when I was having a really bad day and couldn’t concentrate very well. I think it is aimed a people younger than me so I probably would have enjoyed it more if I was a good few years younger. I struggled with the early part of this novel and very nearly gave up on it but I very much enjoyed his previous two novels so wanted to give this one more go and I’m so glad I did. I decided to read the rest of the book in one sitting and I think the book works better when read like that, and I found myself very engrossed in the story and really wanting to know how it would end. I’d hoped to read this book over the last week but I didn’t manage to get to it. It’s top of my list once I’ve finished one of my current reads though so I’ll definitely be getting to this one soon. I was approved for this book on NetGalley recently and have been really looking forward to reading it but haven’t had a chance as yet. Hopefully this will be the week!